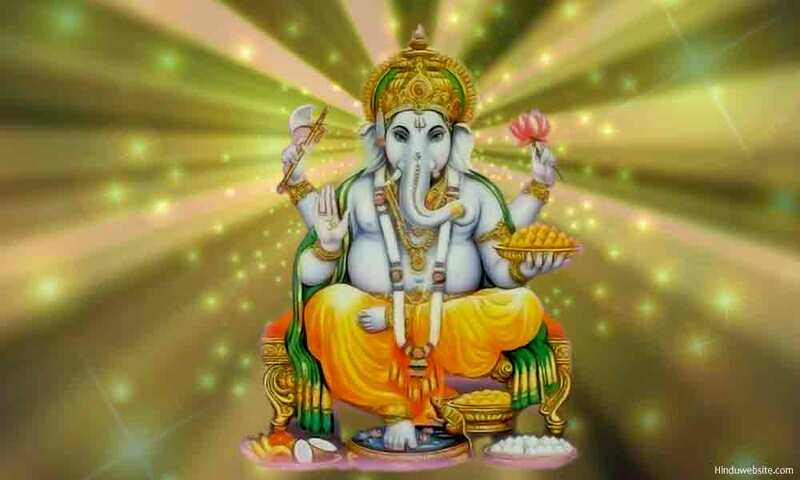 Why To Worship Lord Ganesha? Lord Ganesha is presently the most popular God of Hinduism. Millions of Hindus revere him every day in temples and at homes with utmost devotion. He has numerous temples in various parts of the world which are regularly visited by his devotees to offer worship and express their fears and concerns. Ganesha is worshipped both mentally and ritually by his devotees because of his popularly and because of his status in the Hindu pantheon as the leader of the gods. It is true that people should worship God or any deity out of love and devotion, not to seek boons or personal rewards. Worshipping gods with selfish motives is considered inferior worship in Hinduism since it leads to rebirth rather than liberation. However, it is still important to know why we need to worship certain gods. In this essay, we discuss the importance of worshipping Lord Ganesha or why we should worship him with love and devotion. The following are a few important reasons why Lord Ganesha is worthy of honor, reverence and worship. Ganesha represents the best of both Shiva and Parvathi. Hence, worshipping Ganesha is the same as worshipping Shiva and Parvathi. He has the qualities of both and embodies in himself the beingness of both. Thereby, he represents creation itself, which is described in the scriptures as the union between Purusha (Shiva) and Prakriti (Parvathi). Hence, by worshiping him we earn the merit of worshipping both Shiva and Parvathi. 2. By worshipping Ganesha one can overcome obstacles. Ganesha is also known as Vighnesha or Vighnaraja, meaning lord of the obstacles. When he is displeased, he creates obstacles on the paths of his enemies and when he is pleased he removes them from the path of his dear devotes. As the son of Shiva, Ganesha partakes some aspects of Lord Shiva as the destroyer. He destroys the impurities in us and removes obstacles from our paths so that we may achieve the four aims of human life and experience peace and happiness. Ganesha is an auspicious god. He represents purity and auspiciousness, which is why he is called Mangala Murthi. His very presence removes all negativity and brings good fortune. People keep his images in their houses for good luck. By looking at him and contemplating upon him, one’s mind becomes pure and auspicious with positive thoughts, as all negative thoughts subside. His very remembrance stabilizes the mind and body. Those who worship him with devotion are protected from evil forces. Therefore, worshipping Ganesha is considered very auspicious and beneficial for health and happiness. Ganesha is the lord of intelligence. He represents the highest tattva of Nature, which is intelligence. Because of his association with Buddhi (intelligence) he is also revered in Buddhism. His large head personifies knowledge and intelligence. Hence, his worship has the same effect as the practice of Yamas and Niyamas in yoga. It leads to self-purification as Ganesha removes the obstacles of ignorance, delusion, attachments and egoism, etc., from his devotees and facilitates their liberation. The real obstacles are those that clog our minds and prevent us from seeing and discerning truth or reality. Lord Ganesha helps us see the truth which is hidden in all. Fear is the most formidable obstacle in our lives. It is also the most dominating emotion of our minds. Because of the fear of failure, people avoid taking risks or engaging in difficult actions which contribute to their success, peace and happiness. Fear also induces people to engage in self-destructive actions or succumb to evil thoughts. As the remover of obstacles, Ganesha frees our minds from fear. At the same time, he also strengthens our resolve and courage. Hence, with Ganesha worship, devotees can overcome fear and gain strength and courage to realize their goals. By the grace of Ganesha one can overcome adversity and misfortune and change one’s destiny itself. According to the Vedas, everyone is born with certain fate because of past karmas and divine providence. Their influence cannot be easily neutralized except with divine help. Ganesha is not only the destroyer of obstacles but also a close associate of goddess Lakshmi. Therefore, by his worship one can not only overcome obstacles and difficulties but also earn the grace of goddess Lakshmi and improve one’s fortune. Lakshmi Ganapathi is considered one of the most auspicious and pleasant forms of Lord Ganesha. By worshipping him, his devotees overcome their misfortune. Ganesha himself is the biggest trouble maker. At the behest of his father, he often goes out with his army of Shiva ganas to create mayhem and strike fear in the hearts of his enemies. With his pleasant and unpleasant aspects and numerous manifestations he ensures the order and regularity of the worlds. With his positive aspects as the upholder of Dharma, he protects the worlds and helps his devotees, granting their wishes. At the same time, he unleashes his unpleasant aspects upon evil doers and the enemies of God. Lord Ganesha has an unusual appearance, which defies our confirmed patterns of perceiving the world and grasping the forms. He is also an unconventional god, who does not fit into a particular category. He combines within himself conflicting aspects of life without creating dissonance. He has a large body, short legs, an elephant head and a broken tusk. Yet his asymmetrical form does not diminish our esteem for him or lowers his greatness in our minds. He is loved and worshipped by all. Contemplation upon Ganesha teaches us the virtue of cultivating sameness and detachment to the dualities of world and overcoming our habitual thought patterns, desires, attachments, likes and dislikes.